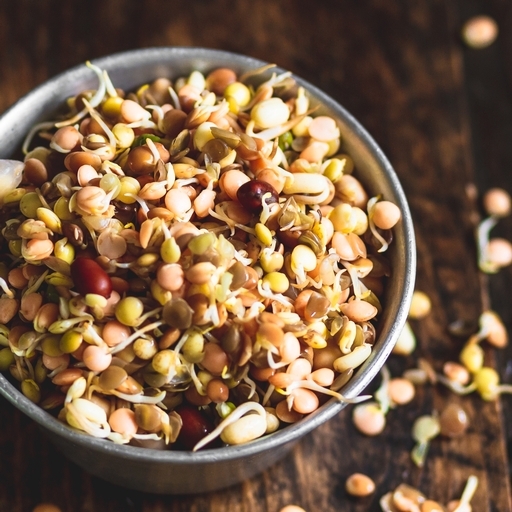 A crunchy organic mix of sprouted adzuki beans, mung beans, chickpeas and green and brown lentils. These healthy sprouted seeds add bite and a mild, nutty sweetness to salads and stir fries. Get scattering! Adzuki beans, mung beans, chickpeas, green lentils, brown lentils.